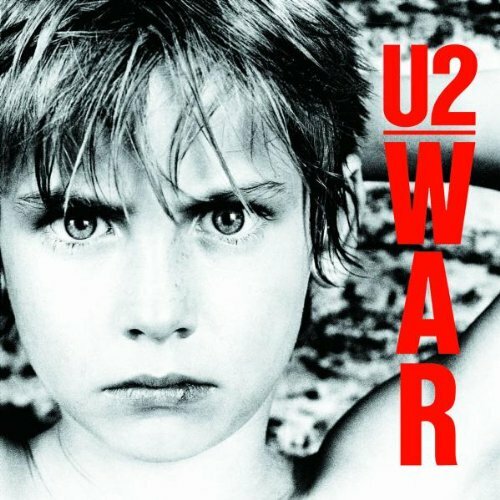 War is the third studio album by Irish rock band U2, released on 28 February 1983. 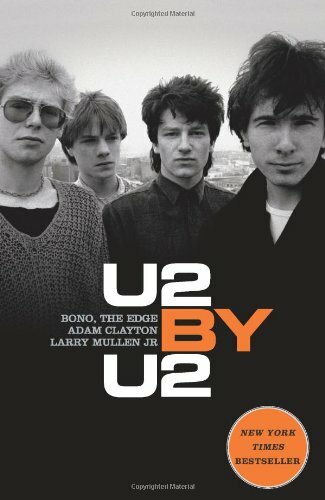 The album has come to be regarded as U2's first overtly political album, in part because of songs like "Sunday Bloody Sunday", "New Year's Day", as well as the title, which stems from the band's perception of the world at the time; Bono stated that "war seemed to be the motif for 1982." While the central themes of their earlier albums Boy and October focused on adolescence and spirituality, respectively, War focused on both the physical aspects of warfare, and the emotional after-effects. Musically, it is also harsher than the band's previous releases. The album has been described as the record where the band "turned pacifism itself into a crusade." War was a commercial success for the band, knocking Michael Jackson's Thriller from the top of the charts to become the band's first #1 album in the UK. It reached #12 in the U.S. and became their first Gold-certified album there. War has received critical acclaim. In 2012, the album was ranked number 223 on Rolling Stone magazine's list of "The 500 Greatest Albums of All Time". U2 began recording War on 17 May 1982. The band took a break soon afterwards, as newlyweds Bono and Ali honeymooned in Jamaica. It has been noted that it was not a typical honeymoon, as Bono reportedly worked on the lyrics for the upcoming album. The lyrics to "New Year's Day" had its origins in a love song Bono wrote for his wife,but the song was reshaped and inspired by the Polish Solidarity movement. "Don't talk to me about the rights of the IRA, UDA"
After Bono had reworked the lyrics, the band recorded the song at Windmill Lane Studios in Dublin. The opening drum pattern soon developed into the song's hook. A local violinist, Steve Wickham, approached The Edge one morning at a bus stop and asked if U2 had any need for a violin on their next album. In the studio for only half a day, Wickham's electric violin became the final instrumental contribution to the song. During the sessions for "Sunday Bloody Sunday", producer Steve Lillywhite encouraged drummer Larry Mullen, Jr. to use a click track, but Mullen was firmly against the idea. A chance meeting with Andy Newmark (of Sly & the Family Stone) — a drummer who used a click track religiously — changed Mullen's mind. Mullen used the click track to stay in time for other songs on the album.Mullen said of the album in a 1983 interview, "I think the drumming has always been pretty simple, I don't think it needs to be flashy. For War I use a click track, something I haven't used before, it's a way of keeping time in my headphones. When I listened to the music in time with the click track I knew I had to bring it down to the real basics. Hopefully for the next LP it will be more complicated, I'll move on. I think of it as a musical progression for myself because I learned a lot recording this album, just about my own style and that's what I wanted to do. I think there is a definite style on War where there isn't on the previous albums." The studio version of "40" was recorded right at the end of the recording sessions for War. Bassist Adam Clayton had already left the studio, and the three remaining band members decided they didn't have a good song to end the album. Bono, The Edge, and Mullen Jr. quickly recorded the song with The Edge switching off to both the electric and bass guitar. Bono called the song "40" as he based the lyrics on Psalm 40. In live versions of the song, The Edge and Clayton switch roles, as Clayton plays guitar and Edge plays the bass. Three of the tracks featured backing vocals by The Coconuts, of Kid Creole and the Coconuts. In the words of Steve Lillywhite, "they just happened to be in Dublin on tour, so we hung out with them and they came in and sang on "Surrender." So it was sort of random - this serious Irish rock band having the Coconuts on their album." The album was titled War for several reasons; in 1982, Bono said that the album was called War because "War seemed to be the motif for 1982," adding that "Everywhere you looked, from the Falklands to the Middle East and South Africa, there was war. By calling the album War we're giving people a slap in the face and at the same time getting away from the cosy image a lot of people have of U2. "The Edge said that "It's a heavy title. It's blunt. It's not something that's safe, so it could backfire. It's the sort of subject matter that people can really take a dislike to. But we wanted to take a more dangerous course, fly a bit closer to the wind, so I think the title is appropriate."